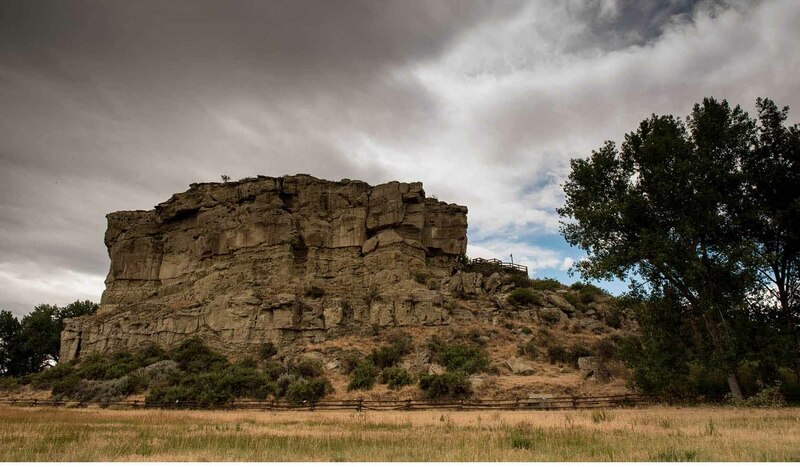 Managed by the Bureau of Land Management and part of the National Conservation Lands, Pompeys Pillar National Monument is the only remaining on-site physical evidence of the Lewis and Clark Expedition. Pompeys Pillar is a rock outcropping that rises 200 feet above the Yellowstone River 30 miles east of Billings. Pompeys Pillar is like a sandstone history book that reads like a who's who of western frontier history. Look on the rockface for the remains of animal drawings created by people who used the area for rendezvous, campsites, and hunting. In 1806 Captain William Clark carved his signature and the date in this rock. It is the only site on the trail where visible evidence of the Lewis and Clark Expedition may be viewed by the public. Interpretive tours. Admittance Rate: $7.00/vehicle April - October. Take Exit 23 off Interstate 94, approximately 30 miles east of Billings. Follow signs 0.5 mile to site.Take Exit 23 off Interstate 94, approximately 30 miles east of Billings. Follow signs 0.5 mile to site.